Architect Keegan Bock just about has it all: celebrity, money and a job that takes him to the world’s most fabulous hideaways. But this sumptuous lifestyle has gotten old. He yearns for more stability, the chance to design buildings full time. More than that, he wants to feel whole again, like he did before his fiancée broke their engagement. Now he has his chance, when he’s asked to head up a huge residential building project. But is he ready to give up the lifestyle that has made him a success? Ever since her business partner claimed Drew Honeywell’s work as her own, Drew’s sketches have been sub-par. That was the last straw after putting her life and career on hold the last four years. She called off her wedding to the love of her life in an attempt to shield him and his political family from the scandal surrounding her father’s financial business. Then she became her mother’s caretaker until her death. But is there more to Drew’s inability to design than just her former partner’s betrayal? When Drew and Keegan run into each other unexpectedly at Casa Blanca Resort & Spa after all these years apart, they have the chance to reunite, once he makes his career decision and she figures out the real reason why she can’t design. Keegan Bock froze in front of the villa’s massive wooden door, his hand suspended in midair, the spit knocked out of him. The woman on the other side was Drew Honeywell, his former fiancée, he was sure of it, even though he’d had mere seconds to glimpse her. What had started out as one more routine shoot for his travel show just got interesting. What was she doing here? More to the point, who was with her? Had she found someone else? A horrible thought clamped his gut: was this her honeymoon? This resort clustered around Barefoot Bay was known for its destination weddings. It had been four years since their own wedding went down the crapper, her idea, not his. It made sense she’d moved on in the intervening years, especially since Burgess Honeywell had been found innocent and her mother was gone. He pounded on the door again, keeping his voice firm but non-threatening. This wasn’t the first time she’d refused to see him since calling things off, but it was time for both of them to get past that. “Drew? It’s Keegan. Open up.” He’d fantasized about this day on more than one sleepless night. Waking up had left him feeling hollow, his fella stiff. The door remained closed, no response from the other side. He could either go all macho and break it down—like that would happen, he was in good physical condition but this was mahogany and he wasn’t stupid—or he could continue standing on the threshold looking like an idiot. Or he could do as he’d done the last time and give up. He’d never forgiven himself for caving before he convinced her to give them one more shot. But she’d left him little choice then, as was the case now. He shoved his hands in his shorts pockets and stomped back to his own villa. 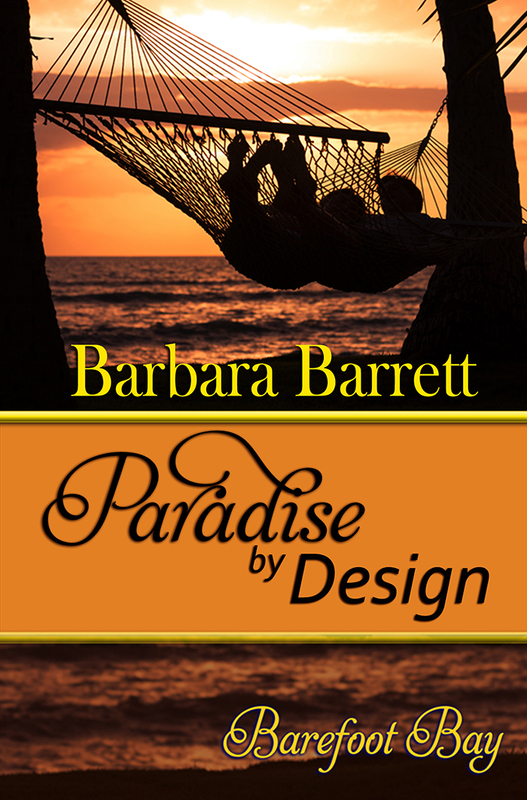 When Roxanne St. Claire invited several members of the Spacecoast Authors of Romance chapter of Romance Writers of America to join her Barefoot Bay World, I was flattered and floored at the same time. Most of the books in this world are novellas, and I’d never written a shorter book like this. When I asked other authors how they did it, they suggested I set it up so that my hero and heroine had already met. So I fashioned a story about a couple who, four years ago, had been engaged to be married until she broke things off a month before the big day. I had to find a compelling back story to make her reasons credible as well as explain why he didn’t try to change her mind and why they haven’t been in touch since then. Those circumstances set the scene when they run into each other at the luxury resort, Casa Blanca Resort & Spa. But I needed additional conflict for each to be dealing with, or they could have just decided to forget the past and get back together immediately. You can read about that in the Blurb above, which once again reflects my tendency to deal with family and career problems in my stories.